The hull of the raft is inspected to identify different damage. 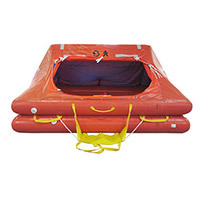 The package is opened and the life raft is removed for inspection. The pressure cylinder is removed for inspection and weighing. 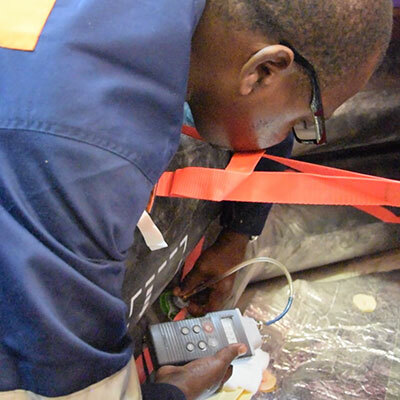 A detailed inspection is performed during the unfolding of the life raft to identify any damage or deterioration of the fabric. The life raft is filled with dry air its inflation pressure. The pressure valves are tested to verify proper operation. The specified leak test is performed on each tube, the fabric and the seams are inspected. The tubes are then pressure tested for a specified time. 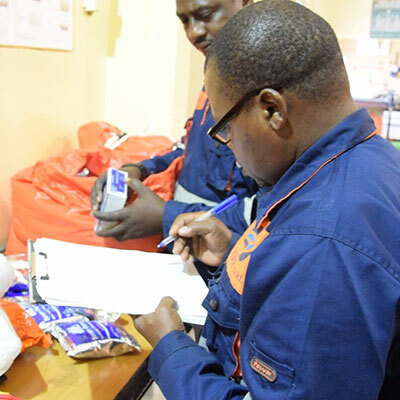 The survival equipment are checked, dated items are replaced if they have reached their expiration date. The pressure cylinder is controlled to identify damage, date of the last hydrostatic test is verified, the cylinder is then weighed. The liferaft was recovered and reconditioned to specifications. All test results, repairs and renewals are recorded on the service inspection report. All service documentation is kept on file. 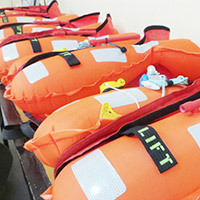 Under IMO MSC 1114, SODIP Sarl provides annual certification authority of the survival suits and life jackets in the center authorized by the manufacturer and approved by the certification companies. The service is provided by trained and certified technicians. In the end, all immersion suits and jackets come with inspection certificates.